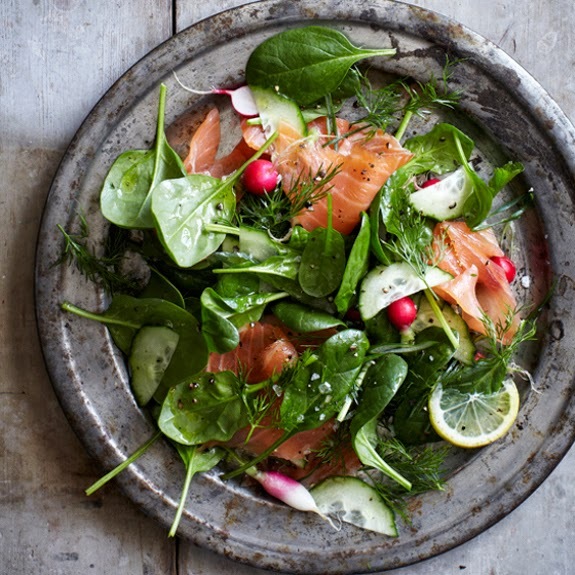 This refreshing and colorful salad is topped with a light coating of tasty lemon-dill dressing. It makes an excellent lunch or light dinner and should be made with top-quality ingredients. The mingled flavors bring to mind images of sidewalk cafes and cozy bistros. Serve it with a glass of pinot noir and you will feel like you are in Paris !